The role of artificial intelligence in business is becoming more and more prominent, and the number of organizations that have enabled the technology at the enterprise level is increasing. Indeed, implementing this powerful technology has numerous benefits, including making faster and more informed decisions, increasing operational efficiency, creating new innovative products and services, and achieving many more others. The desired business outcomes expected from the application of AI are also diverse. According to a survey of attendees of the EmTEch Digital Conference performed by Ernst & Young, the top three included improving or developing new products and services. As well as achieving cost efficiencies and streamlined business operations, and accelerating decision-making. The revenues from the AI market worldwide in 2017 were estimated at $4.8 billion, which is pretty impressive, but the future looks even better. Much better. In fact, Statista predicts the size of the market to reach $89.8 billion in 2025. Apparently, applications of AI technologies cover a wide range of complex areas, but at this point two of them are seeming to benefit the most. These two areas are supply chain management and marketing, and AI is expected to make the biggest impact here in the next years. The evidence from the leading enterprises supports this. Artificial Intelligence in Logistics, a collaborative report by DHL and IBM on uses of the technology for the logistics industry, is one of the most prominent works that demonstrate the impact of AI in supply chain management. Among the goals of this work was to describe how logistics companies can benefit from the application of AI in the supply chain. According to the authors of the report, the companies that apply AI can do so in all aspects of the supply chain and are “uniquely positioned” to benefit from the innovation. They typically have large volumes of both structured and unstructured data generated by supply chains, but it’s not properly analyzed because of the lack of an appropriate tool. Predictive network management. There are machine learning-based tools able to predict air freight transit time delays to allow proactive mitigation. Intelligent route optimization. AI can increase the efficiency of this process and improve transporting, picking up, and delivery (in fact, DHL pioneered this technology in 2011 with the Smart Truck technology). Predictive risk management. Companies adopt new AI-powered tools such as cloud-based supply chain risk management solutions. Intelligent robot sorting. 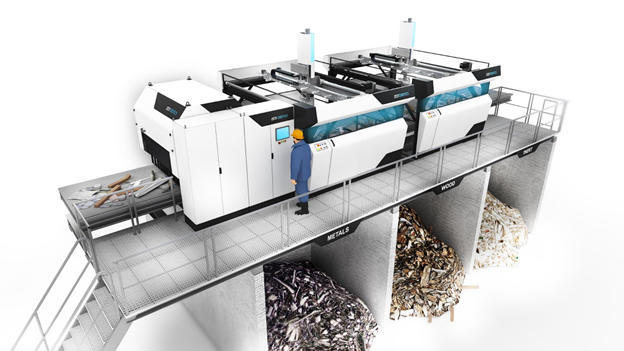 AI-based technology such as intelligent robots manufactured by ZenRobotics is a perfect example of how a combination of computer vision and machine learning algorithms can increase recycling and sorting. AI-powered robotic inspection. Advanced in computer vision made by AI allow to perform impressive tasks such as an effective maintenance of physical assets in warehouses. Computer vision inventory management and execution. AI-powered technology is already able to extract characteristics of products such as price tags, shelf condition, and brand to provide real-time warehouse inventory management. Autonomous delivery vehicles. Technology such as machine-to-machine communications and collaborative assisted cruise control allows using only one human to lead a number of trucks. 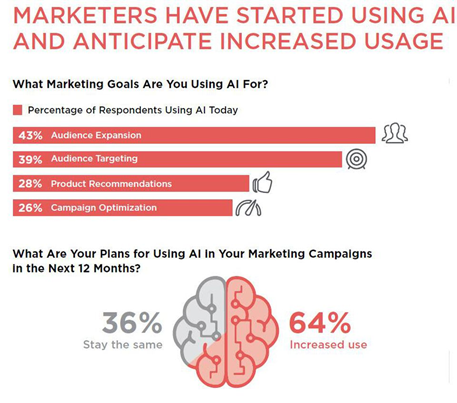 Marketers who have real-time access to data provided by AI are 1.7x more likely to exceed revenue goals. The world’s leading research and analytics companies also recommend exploring AI to improve marketing performance. For example, a recent report released by Gartner made a specific emphasis on AI-powered technologies in marketing. The Gartner Hype Cycle for Emerging Technologies, 2017 recommends enterprises to adopt the technology. In 2018, artificial intelligence still remains out of reach for many companies, but things are about to change. 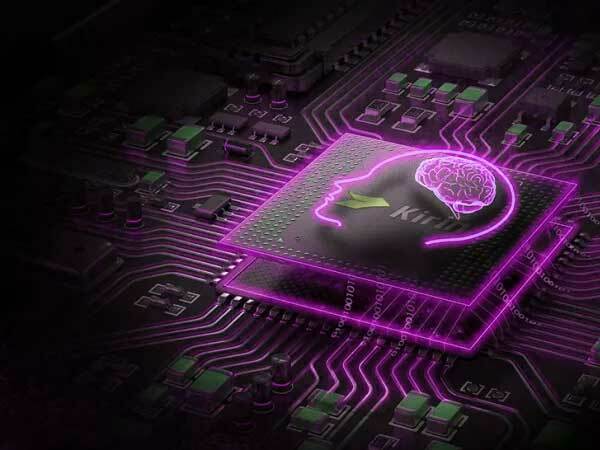 With more and more businesses adopting AI-powered tools and technology, many others will have to follow suit to remain competitive and improve the quality of their products and services. At this point, it’s evident that companies in all industries can benefit from AI. But it seems that marketing and supply chain management will be the two areas in which the technology will make the most impact. Thanks, I have just been looking for info about this subject for a while and yours is the greatest I have found out till now. But, what concerning the bottom line? Are you positive in regards to the supply?